While I do agree with the community aspect of having a server list. Lets be frank, the community is toxic. This goes for pretty much any competitive online game. The reason people play games is to challenge themselves; making friends is optional. Every single competitive game out there has a matchmaking such as League of Legends, Overwatch, CS GO, etc. It's pretty much required to have a real competitive community. Even Tremulous with the success it had never really got to the point of tournaments with cash prizes. The game is what it is, and I do enjoy having private servers to get to know people. But do not dismiss the idea of ranked matchmaking so easily. I'm not a top tier player nor do I think I ever could be, but seeing major names battle it out in any sort of tremulousque game would be the dream for me. With a game like Tremulous where base building, strategy, and twitch gameplay all come together I can only imagine what kind of matches big name teams like c9, faze clan or optic gaming could put together. 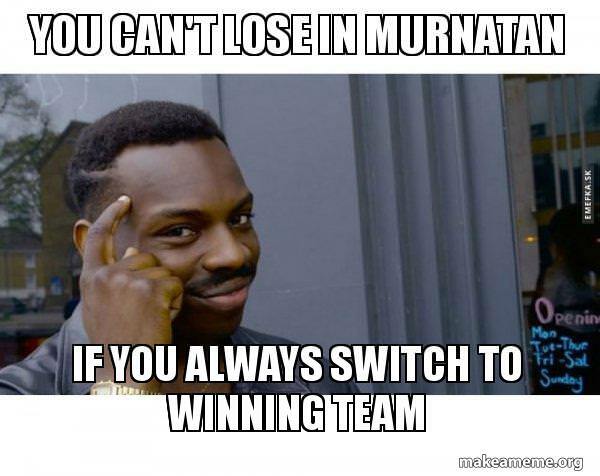 With big plays of base moves, pushes, forward bases, end game scenarios, competitive murnitan/tremulous could be even more entertaining to watch than cs:go or lol. As unlikely as it could be, I think this game has the potential to go so far beyond just a serverlist with ample players in it. Tbh, my hope is rotacak and co. get bought out by a big name publisher. They get rich and we get a polished tremulous style game with actual venture level funding. EDIT: To address the reason we are struggling right now is that lack of player population is a cascading self perpetuating effect. No players in the game results in people downloading and joining a game only to realize that there a no players to play with and quitting the game, when they might have enjoyed the game if there were people to play with, causing there to be even less players and so on. Personally I've tried to get on multiple times the past few days and there was literally no one to play with. I don't know how this could be addressed other than bots. I agree there. It is annoying when enemy team deny you the chance to wipe them out. But RC/OM is indestructible only for teammates. Enemy can still destroy it even after SD. And also these structures are rebuildable in SD. Maybe in current build RC/OM cannot be destroyed with enemy team. If yes, then that is bug, because of wrong detection of teamkills (which can cause this and also bad score etc.). That is already fixed in upcoming update. We will test this again after the next update. Looking forward to it! Question: why is only OM and RC invincible to teamfire during sudden death? A griefer can still just destroy all nodes and eggs anyway. While draw vote does work for ending games. Surrender allows one team to conceed defeat and end the game without the permission of the other team. I don't see it that often used because people hate losing, but in murnatan/tremulous there are many losing situations that take forever to play out. You could call a draw but the team that's winning may feel cheated because they should win, though it may take an hour to actually close out. An example of this is last tyrant and human team has no credits so they're all nakid rifles. To add on Sonno said, basically this allows you to build extremely resiliant bases past sudden death. Basically you build most of your base behind the reactor, then just throw 5 or 6 turrets out in front of the reactor to protect it. This just needs to get you to sudden death without losing, which isn't hard because you can just keep rebuilding the structures when destroyed. Then once it's sudden death it no longer matters, you can lose all your turrets in front of your reactor but alien won't be able to invade your base. 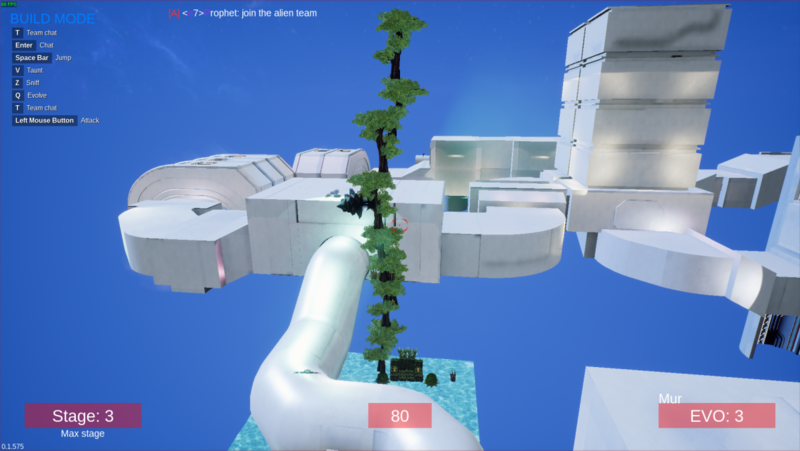 The current base building meta (if we are even mature enough as a game to have a meta) is to simply build an RC/OM the blocks a passageway, then place all of your important structures behind it. Easy way to build rant proof bases beyond sudden death. You bugged through wall by Hovel? Yup. It is actually much more difficult to do then back in trem 1.1, as it seems you always leave the hovel the way you went in. However, being able to build the hovel on curved surfaces causes a lot of issues. I'm pretty sure I can get outside of any of the maps with the hovel right now. I'll keep adding things as I run into them. Has anyone figured out how sniffing is suppose to work? I don't want to report it as a bug until I'm sure its broken, but it seems to be.